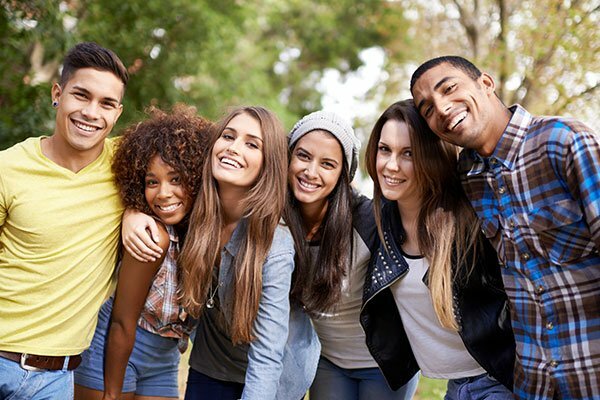 As the semester begins at college campuses around the country, new activities, classes and clubs start up as well — and that means meeting a lot of new people. Here are 100 icebreaker questions designed to help students make new friends or learn more about their classmates. What made you choose (insert university)? If you could major in anything and be guaranteed a steady job after college, what would pick? What was a “total freshman move” you made when you began college? Who would you have dinner with if you could have it with any person, living or dead? What was your senior quote in high school? When you were little, what book did you love? If you could create a (silly) law, what would it be? What’s the best class you’ve ever taken? Have you ever failed at anything? If so, what? If you could speak and be heard by everyone in the world for one minute, what would you say? What book/movie would you change the ending to if you could? What were you involved in in high school? What’s your favorite planet in our solar system? If you could instantly learn another language without studying it, which one would you pick? If you could go back in time, but couldn’t change anything, what time would you go to? What fictional character would you like to meet? If you could only take two books on a desert island, which would you take? What acquired skill have you always wanted to learn? Schedule a dorm meeting with an online sign up! SAMPLE. What book/movie/show can you watch over and over again without getting bored? Who is your famous actor/actress lookalike? What band were you obsessed with in middle school? What’s your current favorite show to binge watch on Netflix? Are you a die-hard fan of any sports teams? What’s something that you love that everyone you know hates? Who is your celebrity nemesis? What would you go viral for on the Internet? If you could go on one reality show, what would it be? What sport is your favorite to watch? What is the cheesiest movie you’ve ever seen? What song always gets stuck in your head? What restaurant do you eat at way too often? What’s the most embarrassing thing that’s happened to you? What’s the most interesting story your grandparents have ever told you? Who are you closest to in your family? If you have a tattoo, what does it mean to you? If you don’t, what tattoo would you get? What word do people use to describe you most often? What was the best Halloween costume you’ve ever worn? 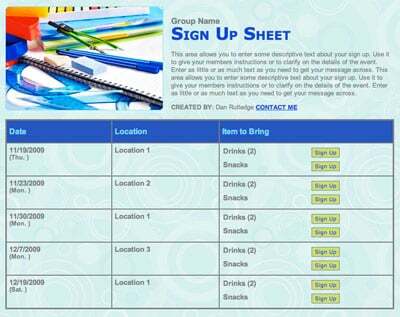 Arrange a study group with an online sign up! SAMPLE. What style decisions do you regret from your middle school days? If your house caught on fire, what would be the one thing you’d save? What sport is your favorite to play? What is the first memory you have? If you could relive one day of your life, which day would you choose to relive? Do you frequently get mistaken for someone else in your life? What one thing (stuffed animal, blanket, etc.) did you carry around as a baby/young kid? If you could only meet one, would you rather meet your great-great grandparents or your great-great grandchildren? Have you ever had five minutes of fame? When? For what? What year of your life has been your favorite so far? What’s the coolest thing your family’s ever done together? If you could shrink any animal to puppy-size, what animal would you own? Which season of the year is your favorite and why? What do you pretend to hate but secretly love? Where’s the best place you’ve ever gone on vacation? If teleportation were possible, what would be the first place you’d teleport to? What do you love but rarely buy for yourself? What (in your opinion) is the prettiest place to be on Earth? What is the best prank someone’s ever played on you? If you were only allowed to eat one food for the rest of your life, what would it be? What’s the best gift you’ve ever gotten from someone? What do you take everywhere with you? What was your New Year’s Resolution this year? When you wake up, what is the very first thing you do? 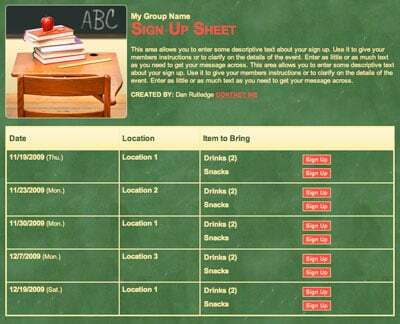 Plan a carpool for fall or spring break with an online sign up! SAMPLE. What talent have you always wished you had, but don’t? What would you name your boat if you owned one? What food are you always running out of at your house? What is your dog/cat named, and why? Do you have any key chains, and if so, what do they mean to you? What is one thing in your life that you couldn’t live without? Out of your five senses, which sense do you think you could live without (sight, smell, touch, sound, or taste)? What food do you think you can you cook better than anyone else? If you won the lottery but only had one day to spend the money, what would you buy? If you could have an unlimited amount of one item, but only you could use the item, what would you pick? What’s your least favorite day of the year? If there were 25 hours in a day, what would you spent the 25th hour doing? What is the worst gift you’ve ever received? Pull some fun, funny or seriously informative questions from this list, and you’ll be one step closer to a tight-knit group. Plus, you’ll probably learn some details you never would have guessed! Organize campus tours with an online sign up.